Entities processing personal data of European Union citizens must implement sufficient principles and measures to protect such data. This training aims at presenting GDPR requirements, both legal and technical, to guide the PII controllers and PII processors in managing compliance to the regulation in an effective and efficient way. Tools applicable for SMEs will be presented and exercised. Targeted audience: (1) everyone who wants to understand the content of the European Regulation within one day; (2) security officers; (3) DPOs and privacy managers. No prior knowledge about the GDPR is required. The training is available in Luxembourgish, French, English and German (support in French) at request. 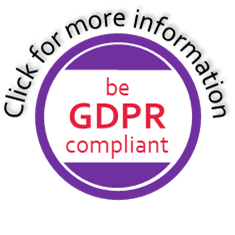 The licence for the use of the GDPR templates in one language provided by itrust consulting is included in the registration fee per company.